Why we like it: This Google Maps API implementation really speaks to the versatility of the API and breadth of the Google Maps API developer ecosystem! From small personal projects to exciting start-ups and high-performance cars, the Google Maps API can be used by everyone. 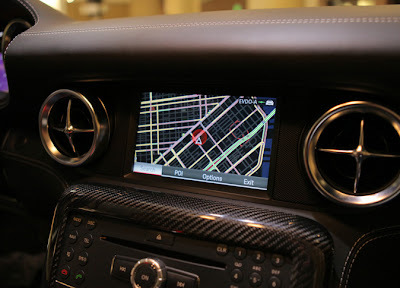 For night time driving the SLS AMG takes advantage of Styled Maps to create a map that’s easier to view in low-light situations and does not impede a driver’s night vision. Chances are, if you’re driving this around all day, you’re going to get very hungry. That’s where the Places API integration with Places Autocomplete API comes in handy. Drivers can enter in what they’re looking for it, be it Thai food or pizza and the vehicle will return a list of nearby places along with address, distance, and rating. Once the Places API has helped you decide what to eat and where you need to go, you can view the destination in Google Street View. 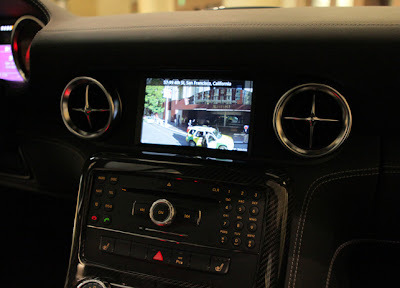 In the image below, the system is displaying Street View imagery directly in front of the hotel in San Francisco where the vehicle was located for the 2012 O’Reilly Where Conference. 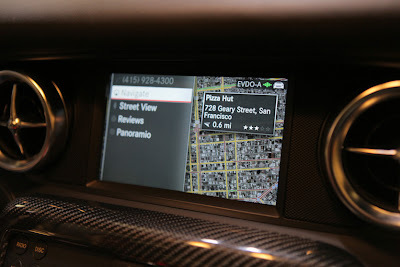 From there you can enter directions that are displayed on a Google Map along with the option to display current traffic. 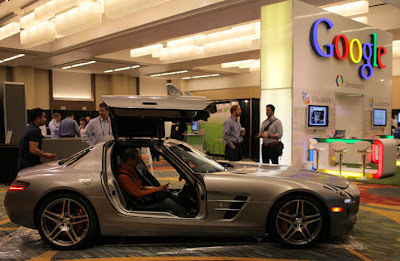 The engineers at Daimler have done an amazing job of taking Google Maps and combining it with one of the most-loved automobiles. There are many different types of developers in the Google Maps API ecosystem and great implementations like this remind us that the possibilities are almost endless!